Brother must rely upon brother in a daring escape! So why does Masamori send Yoshimori's friends to spy on him at the Karasumori Site? 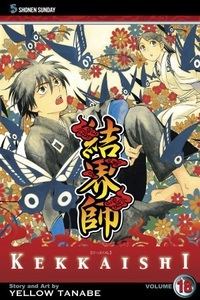 Then, when a flock of beautiful butterflies descends on Karasumori High School, all the students are in peril... How can Yoshimori single-handedly battle thousands of tiny ayakashi without harming the people in their midst?